You save 34% that's £91.00! Width 84cm, Height 133cm, Depth 36cm. The ultra modern Karlo tall sideboard in white and graphite with a pine avola finish interior. 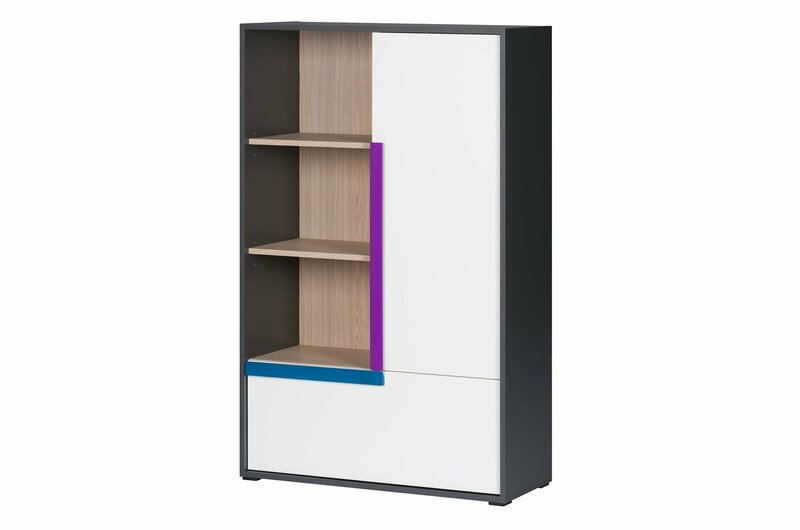 This storage unit features 1 door, 1 drawer and a built in bookcase with 2 shelves offering storage space as well as adding a modern touch to your home. * Additional delivery charges may apply to some parts of Scotland.